Brushes made of synthetic bristle - light colour in order not to confuse the polish colours used. Apply a small quantity of Ebano Superior Cream from the tube or Ebano Polish from the tin on the brush and distribute the product evenly on the shoe leather with circular movements. 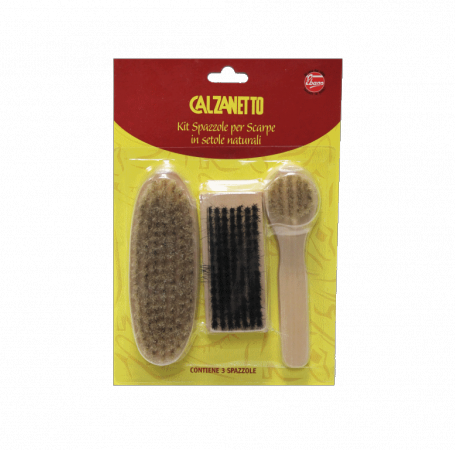 The light bristles make it possible to distinguish the polish colours used so as not to stain the shoes with colours that are different from the colour of the shoe itself. Rubbing and distributing shoe-shine products and polish.